The connection with death seems to be that with too much nitrogen in the air, you don't get enough oxygen and can die from asphyxiation. I get this from Wikipedia's remark that "Antoine Lavoisier suggested instead the name azote, from the Greek άζωτικός "no life", as it is an asphyxiant gas." That probably was a known danger working with nitrates, as in the making and using of gunpowder ("saltpeter" is potassium nitrate). Have you read through the German text which this woodcut illustrates? The title of the chapter is 'Die Ewige heimlichkeit redet' which would mean something like - 'The eternal secret is here talked about'. Interestingly the figure of Alchymia has her lips padlocked so she cannot reveal this. The words on the woodcut refer mostly to books, apart from the two on the locked chest - 'Azot' and 'Thoh' or possibly 'Theh'. These are likely to be secret substances. 'Thoh' is likely to be a contraction, just as Azoth could refer to the beginning and end of things, the letter 'A' being the beginning and 'Z', 'O' omega an 'T' Tav or Tau the final letters latin Greek and Hebrew. There is also a locked cabinet on the upper left with 'Lavdanvs' or 'laudanus' possibly 'Laudanum' (Tincture of Opium) which was put forward by Paracelsus as a remedy. I of course am questioning the last sentence. It seems to me that since both tarot and alchemy used allegorical pictures produced by woodcut or engraving, the producers of each would have been aware of the other and had some idea of their contexts and meaning. In general, it seems that he doesn't know any more than we do. The connection with death seems to be that with too much nitrogen in the air, you don't get enough oxygen and can die from asphyxiation. What this secret substance Thoh is I think will remain undecipherable - even with the common term Azot, the alchemical sources vary considerably in what Azot means or refers to (more so than modern definitions would have one suppose), from every planet and associated metal, the beginning and the end (of a thing or process), as universal mercury, as lunar antimony, as solar antimony, as oil of antimony, as death/putrification,,,,, so even if we may suppose Thoh is somehow synonymous with Azot, what from a range of varying meanings did our author mean by Azot ? That is very possible, given that an alchemist would want to produce nitric acid, as one of the main ingredients in aqua regia, and asphyxiation would be a danger to be wary of in that process. It would be of interest to find a source for your hypothesis. Aqua regia would have been important for creating the illusion that gold was created, since gold is dissolved by it. All it takes is a super-saturated solution, and voila presto, gold appears where none could be seen before. One of my claims has been that the lady with the billowing sail is Isis, based on her association with sailors and the coins showing such billowing sails. One concern I've had about that thesis is that the image also had a life of its own as "good fortune", apart from any association with Egypt. Also, Isis on the coins is not naked. So when and where did the image of the naked lady as Fortune arise? Aby Warburg apparently worked on this issue, and there are a couple of nice articles on the web dealing with the images he found, of which the one at http://www.engramma.it/eOS/index.php?id_articolo=2975 yields the image. 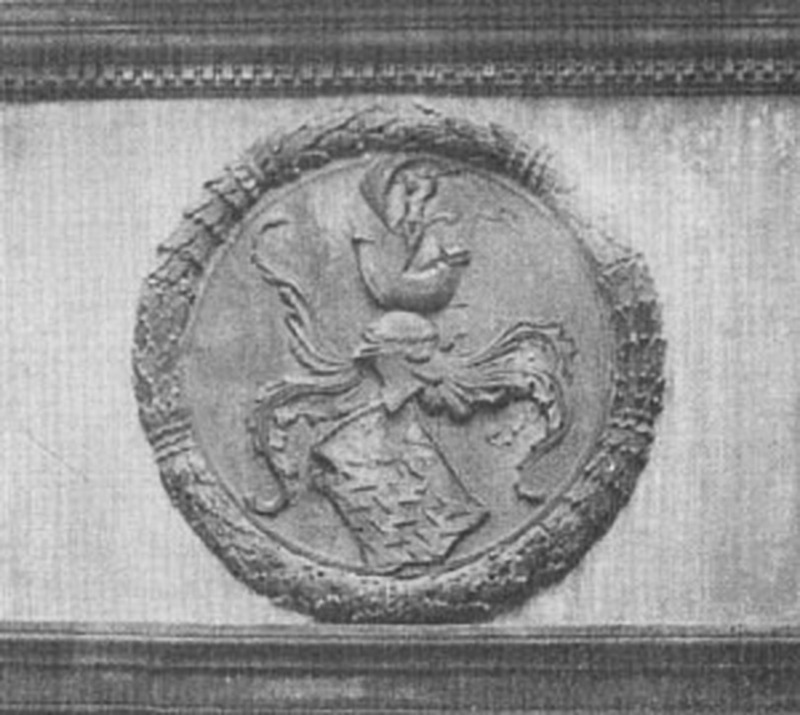 Warburg's images are all from the 15th and 16th centuries, and the earliest one is c. 1460, on an internal wall of a building designed by Alberti for the Florentine merchant Giovanni Rucellai, who probably dealt with the fortunes of sailing ships himself. Hadrian’s coin indicates an earlier ancient iconography, essential for understanding the diffusion in the Renaissance of the attribute of the sail in association with Fortuna: the iconographic scheme was directly accessible in the 15th Century via imperial coins circulating in vast numbers in the examples collected by humanists, but also through the medium of drawings from antiquity, an example of which is in the plate. Hadrian was well known as a fancier of Egypt and its gods. The "plate" is their number 10, a very close match to the coins I showed earlier. Alberti of course designed various medallions and theorized about the hieroglyphs of the ancients as repositories of ancient wisdom. Others would have known the source, too. So even though the image did have a life of its own, it also would have been associated to Isis by some, those versed in Isis-lore and her ancient representations. I cannot find an image of Fortuna with a sail before that building. In statues that survived from Roman times she was shown with a rudder and cornucopia, and in the Middle Ages of course with a wheel.